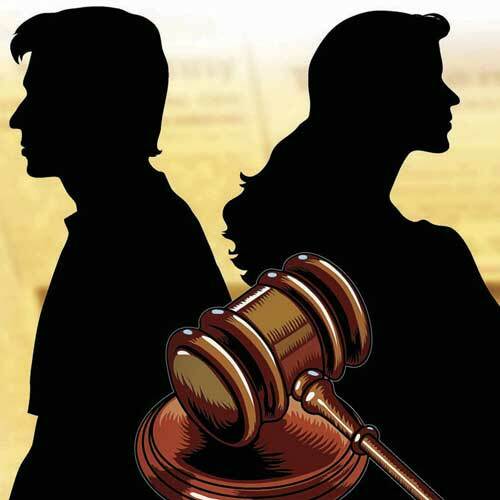 The procedure for legal contested divorce in Delhi starts by either the husband or wife engaging a Lawyer, who will draft a divorce petition as per the facts narrated by the person and on the basis of the grounds provided under Section 13 of the Hindu Marriage Act, 1955 before a Family Court Judge as per the territorial jurisdiction. Pursuant to the reply filed by the other side, trial will begin and both the parties would lead evidence in support of their claims and arguments. Finally, based on the arguments and evidence on record, the Judge will pass appropriate orders. #9: If a spouse, has not been heard of as being alive for a period of 7 years or more by those persons who would naturally have heard of him/her, had he/she been alive. Section 9 of the Hindu Marriage Act, 1955 provides for ‘restitution of conjugal rights’ between the husband and wife, and Section 10 of the Act provides for ‘judicial separation’ of the husband and wife, in cases where the situation and circumstances deem it necessary to obtain either of the decrees from the Court. #11: If there has been no restitution of conjugal rights as between the husband and wife for a period of 1 year or upwards after the passing of a decree for restitution of conjugal rights. #4: In case the solemnization of a marriage before the wife attained the age of 15 years, and that she has refused to accept the marriage after attaining the age of years 15 and before attaining the age of 18 years. These were the grounds for divorce available to husband and/or wife for a legal contested divorce under the Hindu Marriage Act, 1955. There are few more grounds and procedures for divorce as per Indian Laws, which would be talked about in future blog posts.